LSP Industries, Inc., Rockford, IL, introduces the MiniCoater lubrication system, which precisely dispenses lubricant when and where it's needed. Lubricant is dispensed on the exterior of the rolls to prevent clogging. 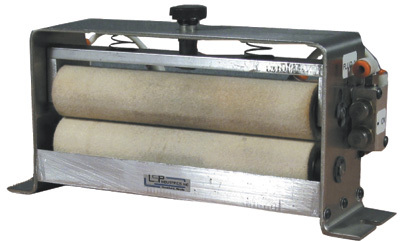 Rollers can be removed and replaced in less than 2 min., minimizing downtime. Four models cover stock width from ½ to 9 in.